These are tools made in and around the Weald (mostly Sussex) by blacksmith edge tool makers. Some of the makers are still well known, despite having ceased work many decades ago. Very few people now have the skill and knowledge to make tools like these. All these billhooks have wrought iron bodies with steeled edges. 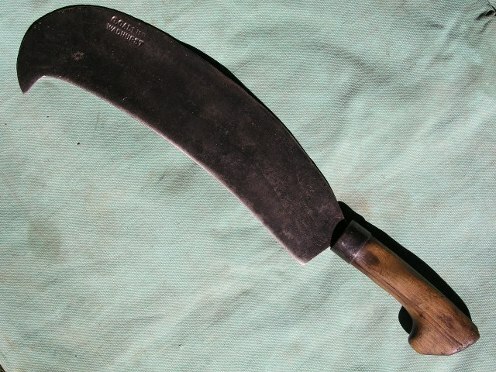 Note that in the Weald of Sussex and Kent a billhook is very often called a handbill. These tools are now quite hard to find. If you want to enquire about availability of billhooks like the ones below please contact me by email. 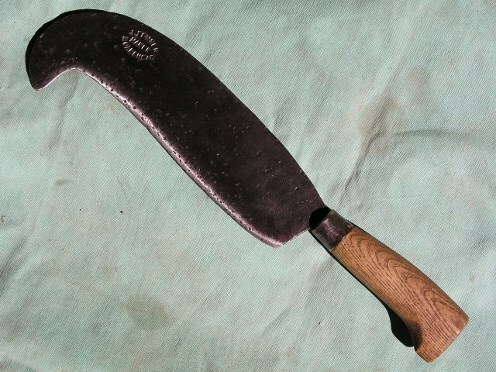 Jack Fenner of Boars Head, Crowborough, was famous for his billhookss and axes. 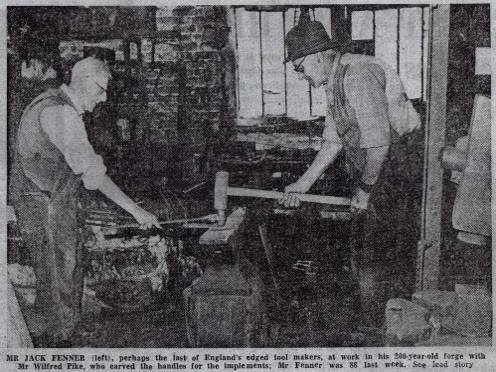 A chap called Wilfred Pike worked with Fenner, producing handles for axes from local ash. 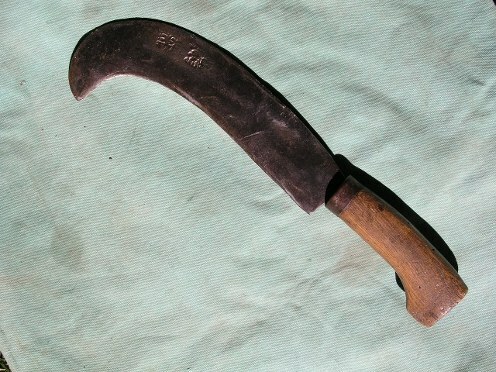 Thomas Beal of Tenterden, Kent, was another well known edge tool maker. 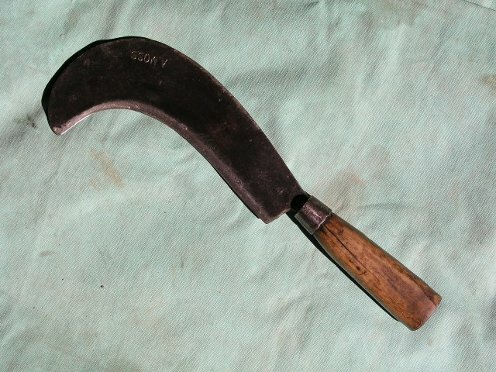 The forge produced other tools like side axes and mortice chisels that still occasionally turn up. 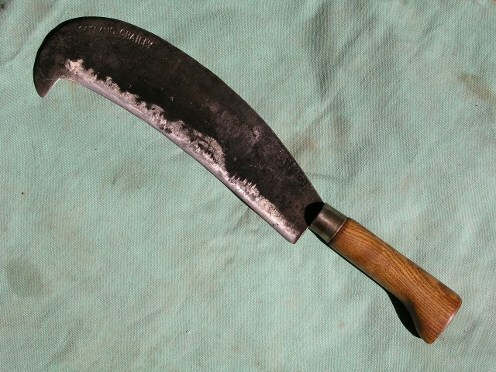 Billhook made by Gallup of Wadhurst. Edmund Smith of Lions Green, Waldron. A famous old forge, once used by John Carey from 1821 to 1837. Otto Gatland worked at Chailey from 1887 to 1913. 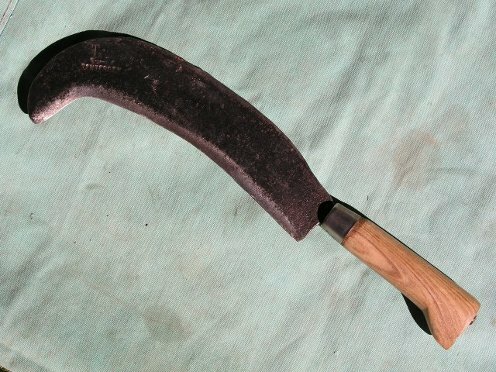 This is a particularly fine billhook, beautifully forged, and is thin enough in the blade to flex easily by hand! Hoadley of Lewes 1878 to 1895. 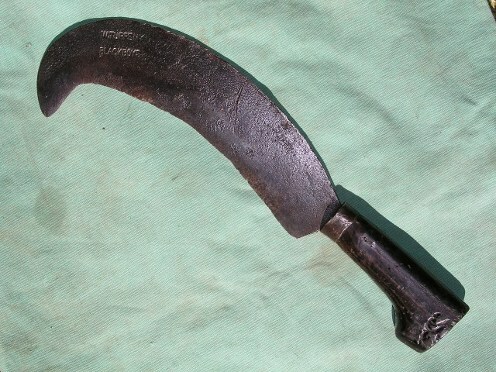 This is a nice light spar hook, with a willow handle. 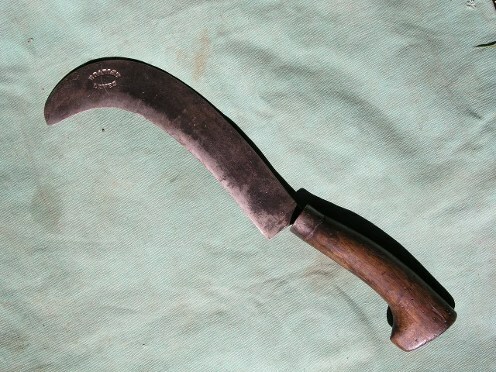 Tuppeny of Blackboys was another very well know edge tool making blacksmith, and features in the Memoirs of Gaius Carley. Silas Killick of Barns Green. 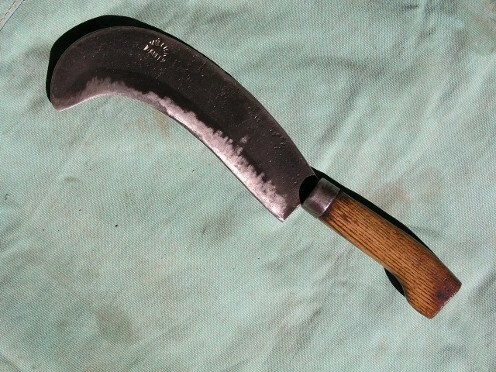 A tidy billhook with a weighty nose. Moss hooks usually have a shape and weight that suggests they were mainly used for splitting hazel, for spars or hurdles . 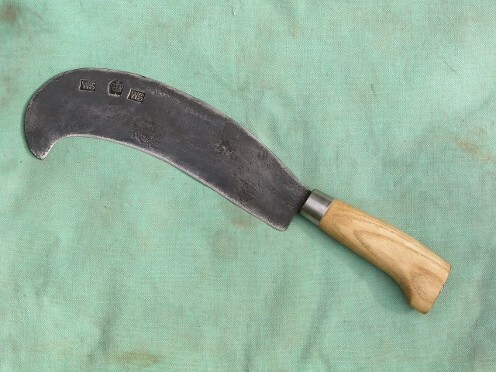 Tools with A, B and W stamps are about, and the range includes drawknives and side axes. Conford, Hants. William Swift of Seal in Kent, well known, and eventually bought up and moved to the Midlands. The dates given above are based on various sources, and are quite possibly inaccurate. If you have information or memories about blacksmith edge tool makers I'd be delighted to hear from you!